Norfolk based MN Landscapes are delighted to be celebrating their 20th anniversary on 4th August 2017. Established in rural Wymondham in 1997 by Martin and Nicky Wood, MN Landscapes continues to offer creative landscape design, construction and maintenance across Norfolk and Suffolk. Martin & Nicky both have a daily hands-on approach in the company, whilst looking for new ideas and both are looking forward for the future. A family-run company with the ability to handle high quality landscape construction projects, MN Landscapes are proud to be long standing members and accredited by the APL (Association of Professional Landscapers) and BALI (British Association of Landscape Industries). A recent highlight for Martin and Nicky involved building The Notcutts Garden, which was opened by the Lord Mayor of Norwich on May 11 2017 at the Notcutts Garden Centre in Daniels Road, Norwich. Coverage of the event can be viewed on the Eastern Daily Press website at http://www.edp24.co.uk/news/new-garden-display-hopes-to-inspire-visitors-to-get-creative-in-their-gardens-1-5017351. Since the Notcutts Norwich show garden they have installed similar gardens at Nottingham, Staines in Surrey and Tunbridge Wells for the Notcutts Group with more to follow. Previously MN Landscapes entered national awards hosted by the Association of Professional Landscapers and were proud to have been commended by the judges in both categories. Now in its twentieth year, MN Landscapes has grown into an impressive team of dedicated soft landscaping gardening and hard landscaping professionals. MN Landscapes have invested heavily in their fleet of sign written vehicles with a range of specialist equipment and machinery, enabling the company to handle more involved and technical projects. 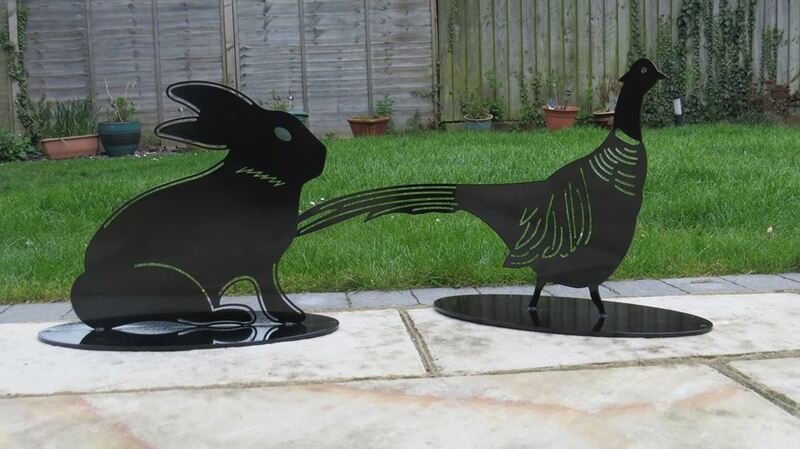 Dereham based company C3 Engineering Ltd will be showcasing their range of bespoke stainless steel laser cut art at this year’s Blenheim Palace Flower Show. A popular addition to their well-established engineering business, C3 Signs creates unique gifts and displays including garden planters; fairies; wildlife; trellises; house signs and wall art. They also boast a stunning range of Wedding Art, including table markers, favours and personalised gifts. Visit C3 Signs on stand 27 at Blenheim Palace Flower Show from 19th to 21st June (up to 30% show discount available on selected items!) or click through to their website.